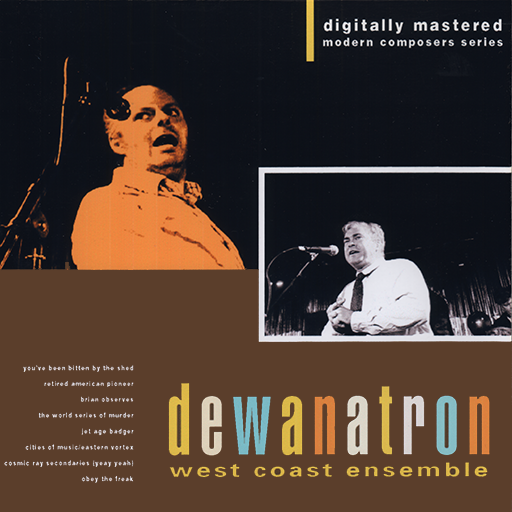 This live recording of the Dewanatron West Coast Ensemble (Dewanatron plus assorted local musicians) was recorded at Spaceland in Los Angeles on 20 November 2009. 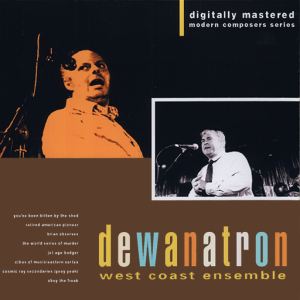 This live recording of the Dewanatron West Coast Ensemble (Dewanatron plus assorted local musicians) was recorded at Spaceland in Los Angeles on 20 November 2009. Eight massive tracks provide over ninety minutes of super freak-out electronic noise jam experiments. Brian and Leon Dewan are joined by Mark Blackwell,Dominic D. Faraci II, Sean Hecht, Josh Humphrey, Tommy Jordan, Stephanie Elle Lauren, Tim Maloney, Nelson Marquez, Ellyn Maybe, Jim Robbins, Doug Stewart, Jeff Sullivan, Avalon Varada, and Paul Yates. Mastered for a variety of live recording sources and edited for maximum impact.